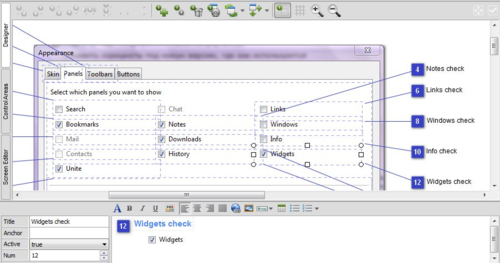 The unique feature of Dr.Explain is its built-in screenshot capturing tool which grabs your application or web page screenshot, analyzes its internal structure and automatically creates numbered callouts for all significant GUI elements and controls. 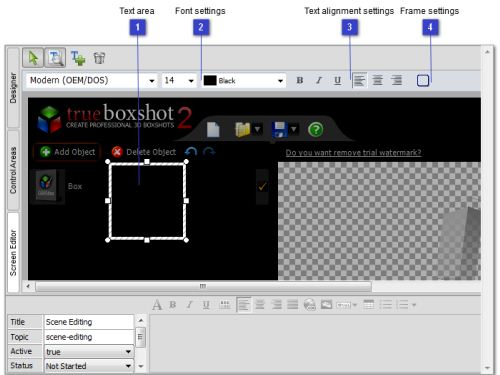 Later you can edit your screenshot in Dr.Explain's screenshot designer. It contains three tabs which provide variety of opportunities from simple screenshot cropping to adding and arranging text labels. Such a variety of screenshot editing tools helps you to shorten time for creating a professional help system with many screenshots.